One of the most exciting images we’ve seen so far coming from The Flash‘s third season feature not just Barry Allen, but his Flashpoint speedster sidekick, Kid Flash aka Wally West by his side. It appears that in the show, Wally has received powers in the altered Flashpoint timeline that Barry had accidentally created by saving his mother at the end of the second season. Now, the world has changed and Barry has his sidekick from the comics. The live action version of Kid Flash is an amalgam of the classic red haired Wally West and the New 52 version. His physical appearance is that of New 52, where his costume is inspired by the original Wally. He was first seen suited up in promo images released before the season three trailer, and first seen in action during the trailer’s premier at this summer’s Comic-Con. Now, the latest batch of images from the season’s premier episode Flashpoint have been released and one image in particular stood out to not just fans, but apparently to the show’s storyboard artist as well. Simser has been known to share storyboard art after specific episodes since he joined the show back during season two. His two most noteworthy tweets from last season include Jason Mewes’ cameo in Kevin Smith’s directorial episode and the race between Barry and Zoom during the season finale. Simser also provided work for Legends of Tomorrow‘s first season as well as the upcoming Supergirl season two for the CW. 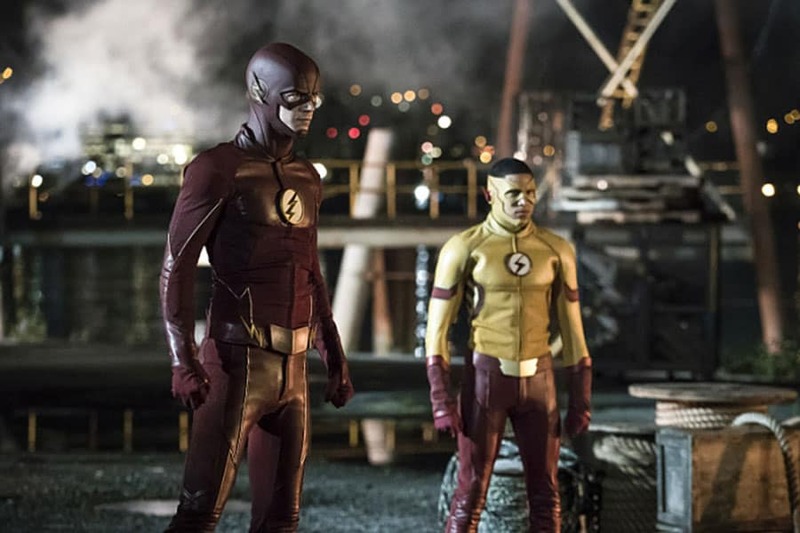 Are you looking forward to The Flash and Kid Flash teaming up for the first time? Make sure to let us know what you think down in the comments.